The "Dogscamper" gives you the opportunity to enjoy traveling with your four legged friend like you have never done before. 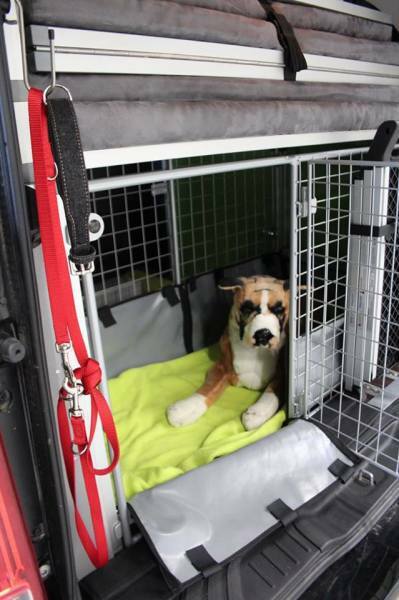 Your dog will rest comfortably in his crate in the back of the van while you take on the roads to your next destination. Attached to the back is a box dedicated to your dog for food and other items your dog needs. 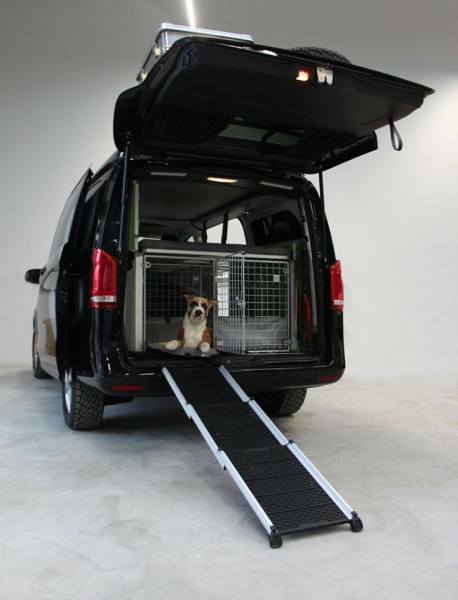 To make going in and out out of the vehicle, we created a ramp that attaches to your van. Your dog will easily get in and out and enjoy the environment. Our modular dog crate system makes it easy to crate more then one dog. We offer multiple crate options to crate more then one dog comfortably. 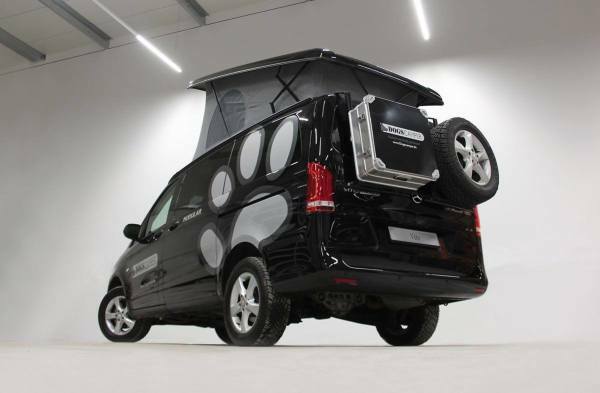 Doors on both sides make accessing easy from the inside and outside of the vehicle. Our floorplan makes it easy to create the perfect fit for your needs. If you need to crate one dog or more. We have the solution for you. Taking your dog or even dogs on your travels is now a lot easier. With our latest product, the Dogscamper, you and your four legged friends can take on the world together. The starter package for our Dogscamper starts at $1,799. 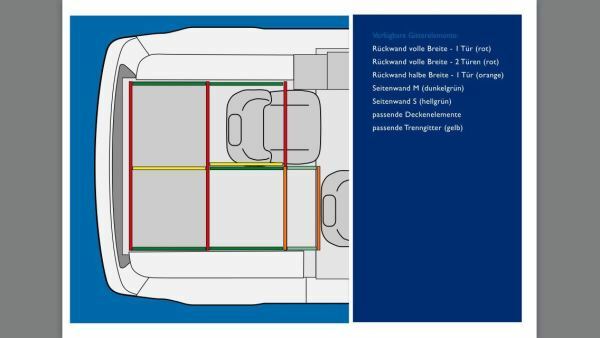 This package includes two crate walls with a door each, for easy access from the outside and the inside of the vehicle. A ramp, for easy access to the vehicle for your dog and the bumper protection so the ramp won't scratch your vehicle. Additional crate walls and deviders are available for more then one dog. You can find the details on the floorplan. Please note, the Dogscamper upgrade is only available with the Terracamper "Tecamp" conversion.